The Sole Fitness F65 Folding Treadmill is a high-performance foldable treadmill. Sole offers some of the best fitness equipment, and this one ranks nearly at the top. 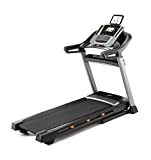 Being priced at $1,299.99 on Amazon, it is quite an affordable treadmill considering its quality. It’s foldable, has a stunning visual LCD display, and easy to use controls for switching gears while running. It’s been on the market since 2009-2010, but the current version brings an extra set of enhanced features for improving your fitness routine. The LCD display found in this treadmill is top notch. It offers a vibrant blue screen with helpful information that shows everything from your speed, pace, heart rate, calories burned, and other great information. The screen is easy to get around and can be a great way to see what is happening with you. This foldable design makes it easy to hide at the end of the day. It has a gear rack and pinion system, and it includes a Safety Lock Deck that actually stays locked into place when the machine is upright. This makes it super easy on you because it is safe even when it is put away. The Easy Assist design allows you to release the deck, and then you can watch it as it unfolds on its own silently. This unique feature alone is interesting to watch in the morning to help amuse you. You not only have the option to run, but the exercise programs are super fun for getting in shape. There are two custom programs, six standard, and two heart programs. Now you always have a system to follow. A treadmill without some entertaining functions is like waking up without a good breakfast. Not only is there an interesting 7.5-inch LCD workout display, but the MP3 compatible sound system makes it easy to stay entertained while running. Want to have something to help you with that sweating? You can run like you’re outside by using the cooling fan attached. This can help keep you cool and not sweat too much. The Sole Fitness F65 Folding Treadmill is being powered by a 3.25 duty HP Motor. This motor allows users to speed up to 12 miles per hour with a possible incline of 15% at most. This makes it even more perfect for home use. 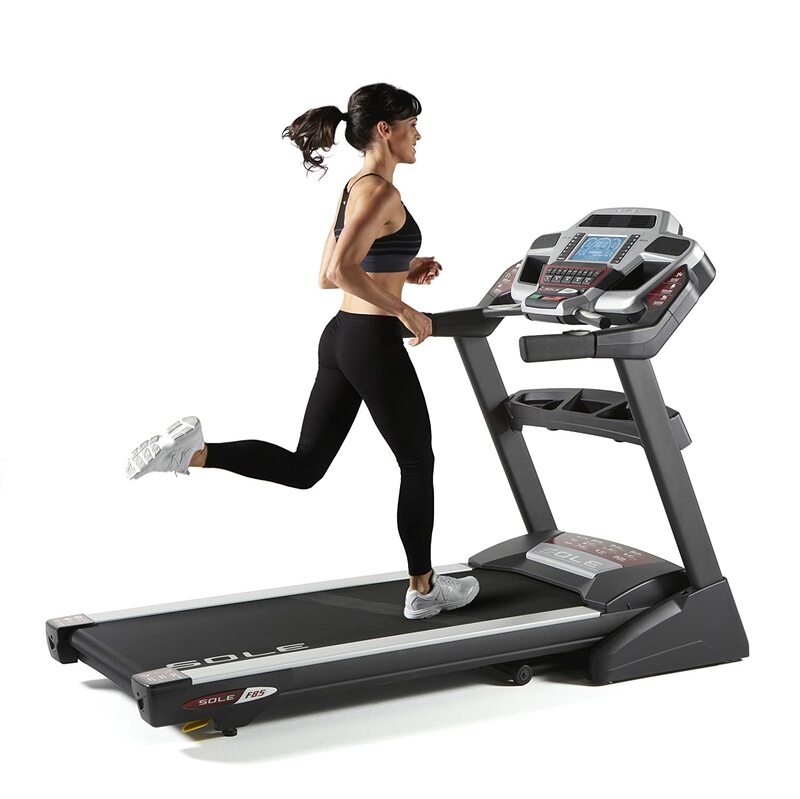 What makes the F60 a quality frame is the durable solid built of the treadmill. It has a frame that can actually withstand countless use no matter how heavy the user may be. This makes it such a great investment for everyone of all heights and weights. It is durable, strong, and can withstand any type of force you may be dealing with. It is super easy to setup, so you can just grab it, assemble it, and you can easily start running whenever you choose. It is fast and quick, and the treadmill doesn’t require much work once it comes. It is quite the expensive treadmill that may not be in the price range of most people. It has the features you may want in a treadmill, but you can get another treadmill from the same brand at half the price just without the additional features and state of the art design. While it is foldable, if your place still doesn’t have some extra space, it can be a bit dangerous when it is upright if you trip on it. It takes up a lot of space when it is unfolded and completely pushed out. The Sole Fitness F65 Folding Treadmill is a sound offering in the treadmill arena. In terms of the product itself, it has very few flaws. It has a cooling fan, music capability, a quality platform for running, and the capability of being used for every person of all heights and weights. Is this worth the money and is it perfect to buy? It is most definitely worth the money if you want a serious treadmill that can last for years to come. If you have extra cash to spend, this treadmill offering by Sole would be nice addition to your home gym setup.